When it comes to using the right tool for the job, kitchen stores have you covered. Single-purpose utensils abound from cherry pitters to oyster forks. But one Israeli designer is taking the concept to the extreme. 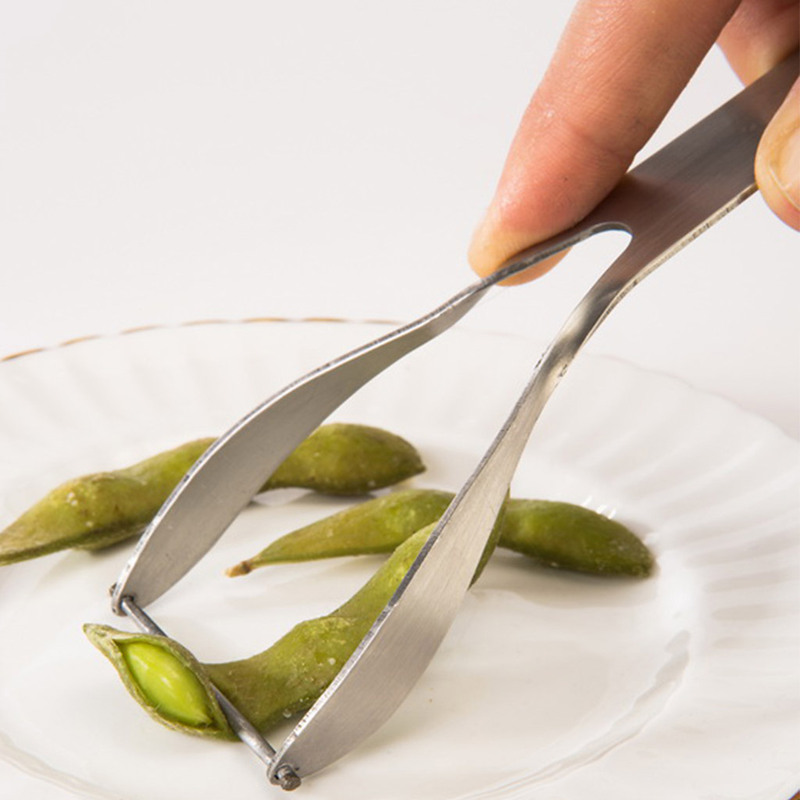 Lee Ben David found the specificity of kitchenware to be so absurd that she created a set of even more amusing cutlery, including a cherry tomato tong, an edamame extruder and a knife-and-fork combo specifically developed to separate the layers of pita bread. With her project, Ben David hopes to inspire us to get closer, not further away from nature, and to appreciate a more primal style of eating. “We seem to forget how much fun it was as kids to eat cake with our bare hands,” she told Dezeen. We worry the more likely outcome is that someone might start mass-producing these fun creations and we'll see them sold next to corn strippers and banana slicers. The easiest way to separate a pita.